After the uproar in Ephesus, Paul and several companions depart. Paul’s ultimate destination is Jerusalem, but he makes several stops along the way. During a stopover in Miletus, Paul sent word to Ephesus for the elders of the church to meet him in Miletus. When they arrive, Paul recounts his witness to them, warns them of opposition that will arise both from outside and from within the church, and tells them they will never see him again. I am struck by the wisdom from God that Paul displays. Paul’s unwavering dedication to God’s service and those who believe, his insight into how his trials and tribulations are worth suffering for God’s good purposes, and his love for those with whom he served are all noteworthy. The degree to which Paul lives these traits is not of his own accord – we see here the power and influence that God can have over a life that is fully committed to Him and we see how God can use such a committed servant to win many for the Gospel. My heart breaks when I consider the thousands who have been misled through false, incomplete, or watered-down teaching and preaching. The savage wolves about which Paul warned the elders from Ephesus are active in the church today, and many have unwittingly succumbed to their false teachings. Christians, we must be in the Word. We must be in prayer. And if we hear false teaching in the church, we must speak out as God leads us. Stand firmly and boldly upon the foundation of the Gospel and be richly blessed. Ponder this: God doesn’t call all of us to a missionary ministry as He called Paul; to what is He calling me? Am I willing? My prayer for today: Heavenly Father, thank you for faithful servants like Paul and the apostles. Let me learn from them and be inspired by them, but more than that, fill me with your Holy Spirit and guide my footsteps that I might be fully committed to doing Your will in my life. In Jesus’ name, AMEN. The Gospel’s impact on the people of Ephesus reaches a crescendo as local silversmith Demetrius raises concern among his fellow craftsmen that the Gospel message could damage their business. 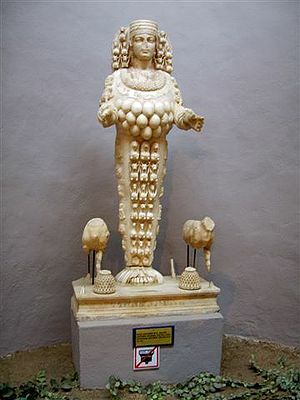 Demetrius made silver shrines of the Ephesian goddess Artemis and sold them to travelers coming to Ephesus on religious pilgrimage. If Paul’s message continues to spread, the silver trade could be hurt and Artemis’ credibility could be damaged thus having a negative impact on the Ephesians’ economy, Demetrius warns. Whipped into frenzy over this dire warning, the people seize two of Paul’s traveling companions (Gaius and Aristarchus) and drag them into the assembly hall. The riot gains momentum. The Scripture tells us that there was mass confusion as people were shouting different things; “Most of the people did not even know why they were there,” we’re told in verse 32. 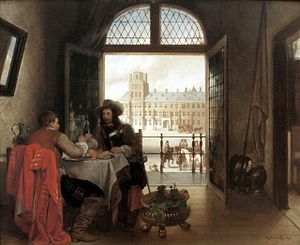 Paul is kept from entering the hall, so Alexander, a fellow Jew attempts to address the crowd but they will not hear him. It is not until a civic leader, the city clerk, steps up to address the crowd that they quiet down and listen. The city clerk admonishes the crowd, telling them that these men have neither robbed temples nor blasphemed Artemis’ name. He tells them that this is not the proper way to handle this dispute. “The courts are open and there are proconsuls,” he says, “They can press charges. If there is anything further you want to bring up, it must be settled in a legal assembly” (verses 38-39). Upon hearing this, he dismisses the crowd, presumably peacefully. Over about two years’ time, Paul’s ministry made a significant impact on the people of Ephesus and surrounding areas. The Gospel has taken root and begun to grow into what would become one of the strongest churches in Asia. Ponder this: What does an honest and straightforward presentation of the Gospel look and sound like? What impact could I have on my world for the Lord? We see in this passage what happens when the word of God is preached boldly and honestly according to the will of the Holy Spirit. We also see what can happen when one abuses the name of Jesus. lecture hall of Tyrannus – where both Jews and Greeks heard The Word. As the passage above states, God did extraordinary things through Paul. Through Paul’s preaching, God’s Word spread throughout the province leading many to confess their sins, “In this way the word of the Lord spread widely and grew in power” (verse 20). Given the end result of this encounter, it appears that these men were not acting in obedience to the Holy Spirit. Why were they doing this? What was their motivation? We are not told; but their actions clearly were not aligned with God’s plan. Their serving of the proverbial “humble pie” by this demon-possessed man was likely never forgotten. In this passage we see a stark contrast between a sincere ministry led by the Holy Spirit and an apparent effort to practice ministry under less than honorable pretext. Ministry that serves God has its focus on the Gospel. Such a ministry focuses on the Object of our worship, not on the messenger. It’s not about me; it’s about Him. Now, let’s go out and live it. Ponder this: Are my motives for action aligned with God’s plan? Is my message to the world about Him? My prayer for today: Heavenly Father, I surrender fully my life and my ministry to You. Give me a servant’s heart and tune me in to your Holy Spirit; that all that I do and every word I write or speak in Your name is fully aligned with Your good and perfect will. Keep me humble and keep me focused, I pray, in the name of Your Son, Jesus Christ, AMEN. After remaining in Corinth for quite some time, Paul departs with Aquila and Priscilla (the married tentmakers whom he met earlier during his visit to Corinth) and pays his first visit to Ephesus. After hearing him speak in the synagogue, the Jews of Ephesus ask him to stay longer, but Paul declines, promising to return later according to God’s will. Paul departs for Jerusalem, leaving Aquila and Priscilla in Ephesus. We are introduced to Apollos, a Jew from Alexandria, who arrives in Ephesus after Paul’s departure. He is a very skilled speaker who “spoke with great fervor and taught about Jesus accurately” (verse 25). Interestingly, Luke mentions here that Apollos only knew the baptism of John, which was a baptism of repentence – meaning that Apollos presumably had not received the baptism of the Holy Spirit. Even so, Apollos teaches accurately and very persuasively. Aquila and Priscilla invite Apollos to their home, where they “explained to him the way of God more adequately” (verse 26). With the blessing of the believers in Ephesus, Apollos departs for Achaia where we are told he “vigorously refuted his Jewish opponents in public debate, proving from the Scriptures that Jesus was the Messiah” (verse 28). There are numerous places in Scripture where we see God using people of ordinary means and background for His sovereign purpose. Here God uses an ordinary married working-class couple (Aquila and Priscilla) to advance His kingdom. How fascinating it would be to peek in at Paul’s interactions with them prior to his departure: what was their background; what did he teach them; what questions did they ask? They play a very important role here as they prepare Apollos to assume his ministry. We laymen and laywomen must be available for ministry, just as Aquila and Priscilla were available. God can and will use us – what an honor it is to serve our Lord! We must be vigilant so as to not miss the opportunities to serve God that He may send our way. Ponder this: What is my ministry? How might God use me in furthering His kingdom? My prayer for today: Heavenly Father, I want to serve You, first and foremost. Tune me in to Your will for my ministry. Reveal it, open my eyes to it, and guide my footsteps that I would serve You according to Your will. In Jesus’ name, AMEN. Paul departs Athens and makes his way to Corinth. Following his familiar pattern, he preaches Jesus the Messiah in the synagogue. The Jews became abusive, frustrating Paul to the point of saying he would no longer preach to the Jews; from now on he was going to the Gentiles. That clearly was not aligned with God’s plan, for God spoke to Paul in a dream, encouraging Paul to continue speaking and reassuring Paul that no harm would come to him. 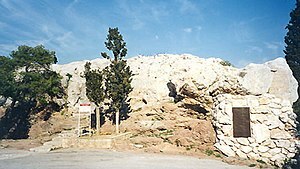 With God’s reassurance Paul stayed in Corinth for a year and a half, preaching the word of God. 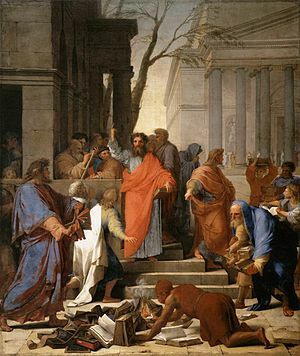 In a parallel to Jesus’ appearance before Pontius Pilate, some angry Jews brought Paul before Gallio the proconsul, accusing Paul of “persuading the people to worship God in ways contrary to the law” (verse 13). 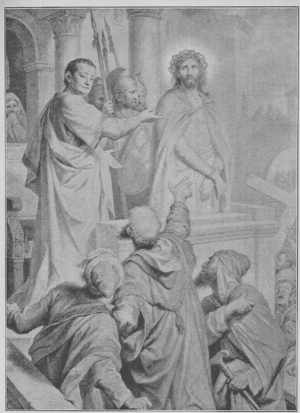 Pilate tried to remove himself from Jesus’ situation without success; Gallio told the Jews that this was not a matter of law but of religion and that they should deal with Paul themselves. In response the crowd turned on Sosthenes, the synagogue leader and beat him. This is an historically important exchange. 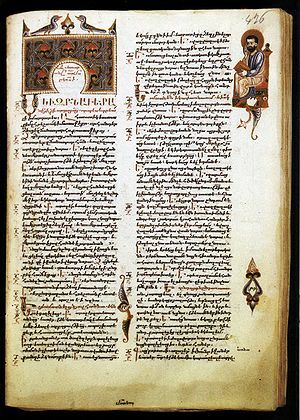 By refusing to hear the Jews’ charges against Paul, Gallio in essence elevated Christianity to a “recognized religion” status – a status enjoyed by the Jews. With this status the Roman government would take no action on charges emanating from a religious dispute. But also, we once again see God true to His Word: although the Jews rose up against Paul, God protected him and preserved his ministry. So why did the Jews beat Sosthenes? At every stop on the apostles’ missionary journeys, Scripture records the frustration and anger felt by many Jews concerning their message. Instead of seeing God’s promise fulfilled, they clearly perceived a threatened way of life. Paul’s witness to the Gospel was fed by the Holy Spirit, and with that nourishment, his witness was very effective. Sosthenes, the synagogue leader, responded to the Gospel by coming to faith in Christ. Since the angry Jews couldn’t touch Paul, they beat their leader. Faith in Christ sometimes comes with an earthly price; but that price is negligible in comparison to the eternal glory we will know when our Lord calls us home. Persecution is evidence of a resonating message. In many parts of the world, Christians are beaten and killed because of their witness to Christ. When we stand firmly on God’s Word and speak His Truth in these United States we may be laughed at, scorned, ridiculed, or shunned. We may have falsehoods told about us, or we might even be dismissed from a Christian church. Such persecution will often come from other Christians, just as Paul experienced with fellow Jews. When we are persecuted for our faith and for our witness, let us be encouraged, knowing that God is working through us. Ponder this: When have I been persecuted for standing on God’s Word? How did I respond? My prayer for today: Heavenly Father, thank you for using me to further Your kingdom. Help me to always stand grounded in Your Word, and help me to always speak Your Truth, even in the face of persecution. Let me serve You according to Your good and perfect will. In Jesus’ name, AMEN. I have always enjoyed this passage, which describes Paul’s first visit to Athens. The Scripture describes Athens as a “city full of idols” and says that this greatly distressed Paul (verse 16). Athens was a city of philosophers, seeking the latest and greatest ideas. Seemingly leaving nothing to chance, they even erected an altar dedicated “to an unknown God” (verse 23). Paul declares that the god they worship as unknown is, indeed, knowable. Paul’s speech to the philosophers at the Areopagus is one of his most eloquent. He beautifully describes the nature of God and His desire for relationship with us. Falling largely on skeptical ears, we are told that “some” believed and became followers of Paul while others said they would like to hear more. The Athens described in this passage reminds me in many ways of the United States today. We consider ourselves a “progressive” nation – a nation that accepts a diverse group of religious beliefs and cultures into its borders. Sadly, many in our nation also accept the notion of relative truth: what is true for me is only true for you if you accept it as true; in the same way your truth is completely true if you believe it to be so, even if it is not true for me. For many in the United States nothing is true of its own volition, including Scripture. I suspect that most of the philosophers whom Paul visited in Athens would have agreed with this philosophy of relative truth. This is very dangerous ground indeed, and it opens the door to sin, which in turn can destroy a society as it destroys us individually. We Christians must read and study Scripture. We must seek God’s truth – which, by the way, is eternally true for both the believer and the unbeliever. We must lovingly convey God’s Truth to our neighbors and, just as Paul tailored his message to his audience at Athens, we must witness to the Truth in a manner that resonates with our audience while preserving the wholeness of God’s Truth – just as Paul did. It sounds daunting, but we are in good company: When God called Moses to lead the Israelites out of Egypt, one of Moses’ greatest concerns was that he would not have the words to convey to Pharaoh why he must let God’s people go. God said to Moses, “Who gave human beings their mouths? Who makes them deaf or mute? Who gives them sight or makes them blind? Is it not I, the Lord? Now go; I will help you speak and will teach you what to say” (Exodus 4:11-12). If we are doing God’s Will and if we are speaking God’s Truth – God’s Universal Truth – this promise extends to us as well. Ponder this: Have I fallen into the trap of accepting relative truth? How would God have me address this in my world? My prayer for today: Heavenly Father, there are so many falsehoods proclaimed as truth today. It’s easy to ignore those and go about my business, and for the times I’ve done that I ask Your forgiveness. Tune me into these falsehoods, Lord, and guide me in lovingly responding to them according to Your will. In Jesus’ name, AMEN. 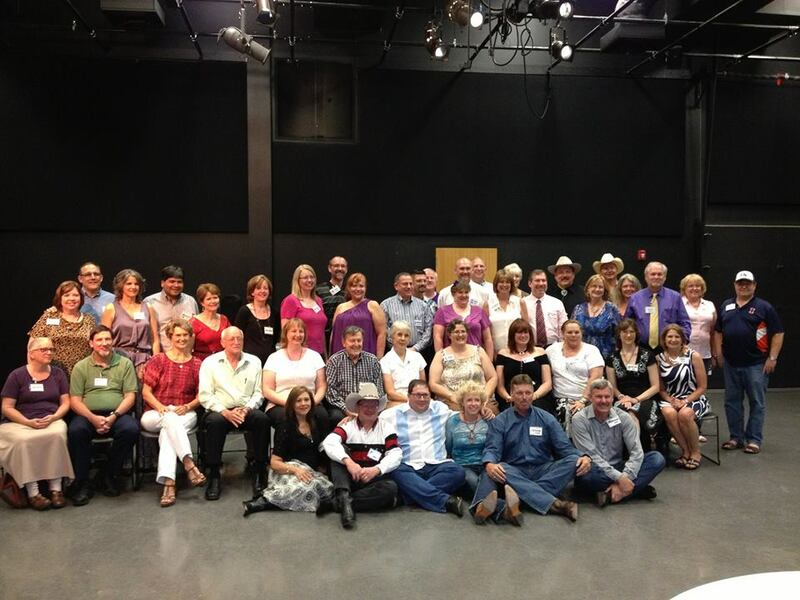 Last weekend I attended a reunion of classmates and friends from Concordia Lutheran College in Austin, TX. Each of us attended and/or graduated from Concordia between 1980 and 1986. I came away from that weekend recharged, rejuvenated, and ever so thankful for these good Christian friends and my status as a Concordia alumnus. Working in corporate America, I always enjoy comparing college experiences with many professional colleagues. Based on these discussions I have come to appreciate the unique and rich character of my college experience. Many business professionals I know attended large universities and have Greek letters associated with their college experience. They root for their alma mater football team, wear the colors, and puff up with pride when their school is positioned for the coveted BCS Championship. When they tell me these stories, I smile. When I tell them about my Concordia experience, they’re intrigued. When I enrolled at Concordia in the fall of 1980, our student body totaled somewhere in the mid-300’s. That’s three hundreds. I very quickly knew everybody and they knew me. Our professors and administrators – even the college president – knew each of us by name. They would greet us by name with a smile as we’d pass by in the hall or on one of the campus’ beautiful sidewalks. They dined with us in Texas Hall. Our instructors were not Graduate Assistants; they were full professors, many of whom had earned their PhD. Class sizes were small and each syllabus included the professor’s home telephone number, just in case we had a question as we studied at night; and they were disappointed if we had a question but didn’t call. Concordia offered an amazing sense of community, and that community included her students, faculty and administrators. That sense of community forged a bond between us that still exists today. At that point in my life, there was no place I would rather have been. I loved it. To higher ways and brighter days ‘neath God’s gracious Texas skies. Purple and white, our colors we raise at the dawning of every new day. Our hearts unite in the service we share for our Lord who shows us the way. Concordia, Concordia our own Texas college dear. As a pre-seminary student I majored in General Studies. 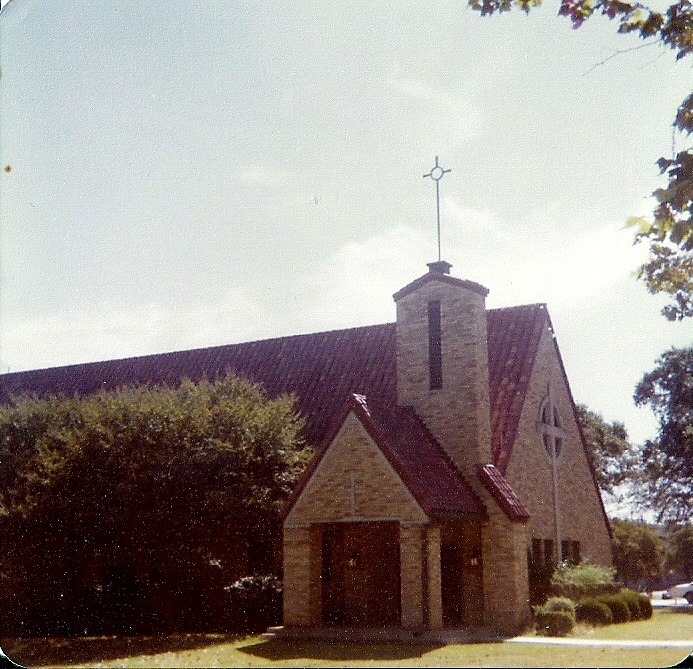 Concordia was best known at that time for graduating young men prepared to enroll in seminary and young adults prepared to teach elementary school. We also graduated business majors, Mexican-American studies majors, and Communications majors. We had an excellent music program, in which I minored. I played my trumpet in all sorts of venues playing all kinds of music. I sang baritone in the college choir. I participated in worship and music groups that traveled and toured. I am thankful to have studied music under two of the finest Christian musicians I know. Concordia was a small liberal arts college, and from her I received a superb education. 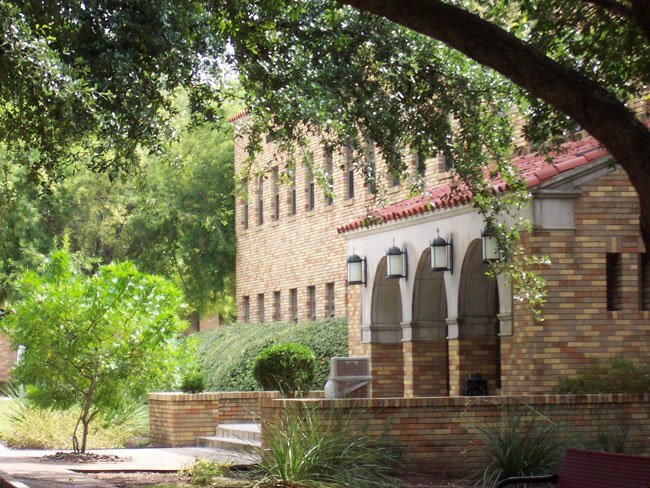 As Concordia’s enrollment increased over the years, she outgrew her campus situated just north of the University of Texas in Austin. 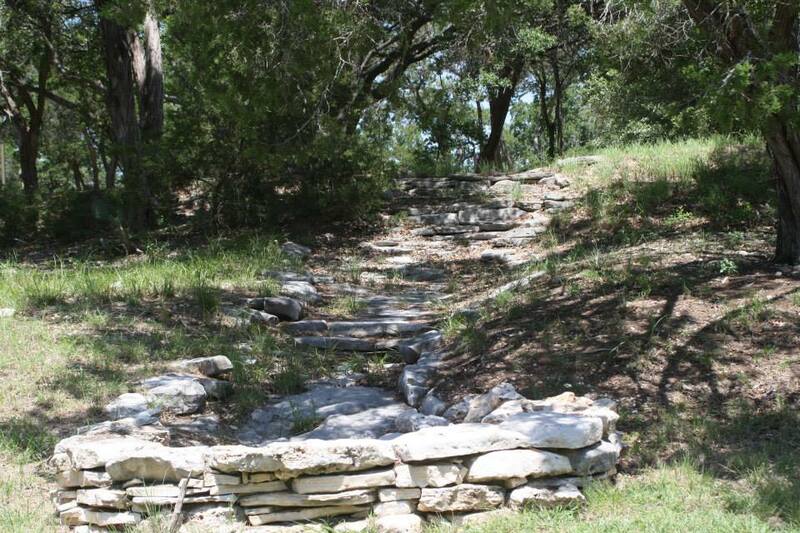 After a diligent search, they purchased a former corporate training facility located near Cedar Park northwest of Austin. The old campus was sold to a developer and Concordia celebrated the opening of her new campus in the fall of 2008. I was crushed. The pictures I saw of wrecking balls demolishing the place I had grown to love broke my heart. When I traveled to Austin on business, I always built an hour or so into my schedule so I could walk the campus and greet faculty and staff. As I walked the campus during those return visits the memories of my days at Concordia would come flooding back. I treasured those visits, and now my beloved Concordia had been taken away from me. Like many alumni, I was bitter. More than that, I was angry. Many of us alums vented our anger with one another. We shared it. We talked about how insensitive it was to allow this place that harbored such rich history and so many fond memories to be destroyed. We talked about those beautiful buildings, gone with the swing of a wrecking ball. We talked about losing our sense of home; it felt as if we had been exiled. Our alma mater, by allowing the destruction of our campus, had expatriated us. We felt abandoned and left behind. To be sure, we heard many good things about the new campus. We didn’t care. Our Concordia was gone. A dear friend and fellow alumnus worked at Concordia during the move. About two years after the move we were chatting about the new campus and I shared with her my feelings of bitterness and anger. No, I hadn’t visited and no, I had no intention of doing so. She told me about the ever-increasing costs to maintain the old buildings, and how Concordia had run out of room to grow for her future. She painted a verbal picture of the beautiful 389 acres Concordia now calls home, 250 of which is dedicated as a nature preserve. She described the flow of the buildings and how they fit so well with Concordia’s mission and sense of community. She related how careful the administration and staff had been to remove and preserve important items from our old campus; some are placed on the new campus and others wait in storage – but they’re there, awaiting just the right spot for display. She told me about many of the faculty who were still actively working on campus and how much they enjoyed seeing alumni visit and discover the new campus. As we talked I realized that Concordia was still very much alive. The sense of community I treasured so much was still completely intact. Concordia hadn’t abandoned me. In my bitterness and anger, I had abandoned her. Not long after that conversation I learned that Concordia was seeking an alumni representative for the Dallas/Fort Worth area. I volunteered. Soon after accepting that role I toured the new campus for the first time. The feelings of bitterness and anger were still there to some extent; I couldn’t help that. As I walked the campus with our Director of Alumni Relations I felt a sense of awkwardness, as if I had wandered into somebody else’s home. She told me that enrollment at Concordia University Texas exceeded 2,000 students – and still growing! Over the years, the University had added many degree programs to its offerings. As we walked, I couldn’t help but appreciate the natural beauty of the place. Looking into the faces of the students, I began to see my friends and me as if it were 25 years ago. We peeked into several classrooms. Class sizes were still small and I was pleased to see several familiar faces standing before those assembled to learn. As we walked, my wounds began to heal. Indeed, Concordia had a rich history on her old campus. But I soon realized that her history was ongoing. And I was determined to rejoin her on that journey, as God would have me do so. As we planned our 80’s era reunion several of my classmates were still bitter and angry over the move. I get it; I understand. I know that feeling all too well. The planning committee decided to host the reunion on Concordia’s campus, hoping that those who joined us would appreciate her beauty and feel the same sense of reconnection I felt on that first tour a few years back. Some expressed disappointment that the reunion was on campus, others were pleased. Based on the smiles and camaraderie over the weekend, I consider the reunion a great success. God’s gift of Christian friendship is one of His greatest gifts to His children. As we stepped onto campus for the first time together last Friday evening the years melted away. 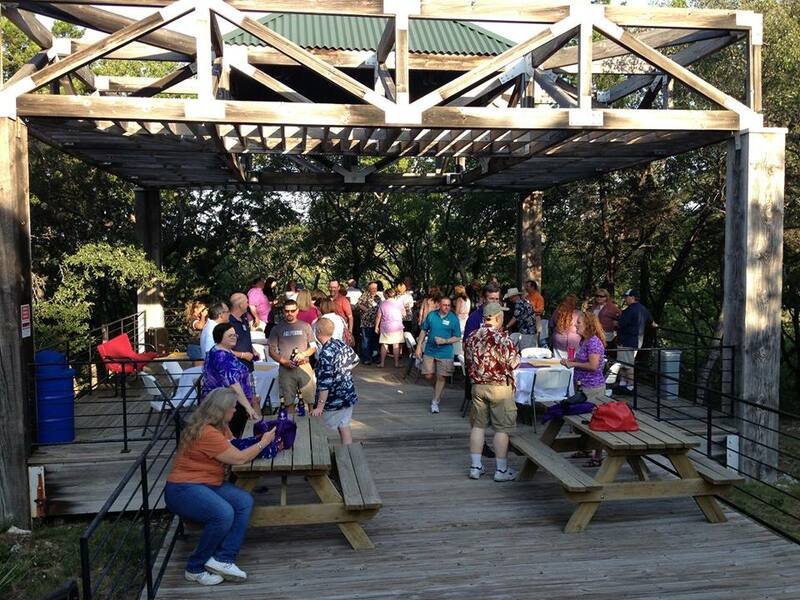 Familiar faces filled the campus’ large deck (called “The Pier”) overlooking the nature preserve. Hugs – big hugs – were exchanged as the years literally melted away. We took great joy in renewing our bonds of friendship with those who were there, and we missed those who couldn’t join us. We parted ways Sunday afternoon with renewed and strengthened Christian friendships. For me, my bond with my Concordia is once again completely intact and stronger than ever. I treasure my time at Concordia and the education I received there. I treasure the people who I consider lifelong friends, and I look forward to seeing them once again. God has richly blessed me indeed. 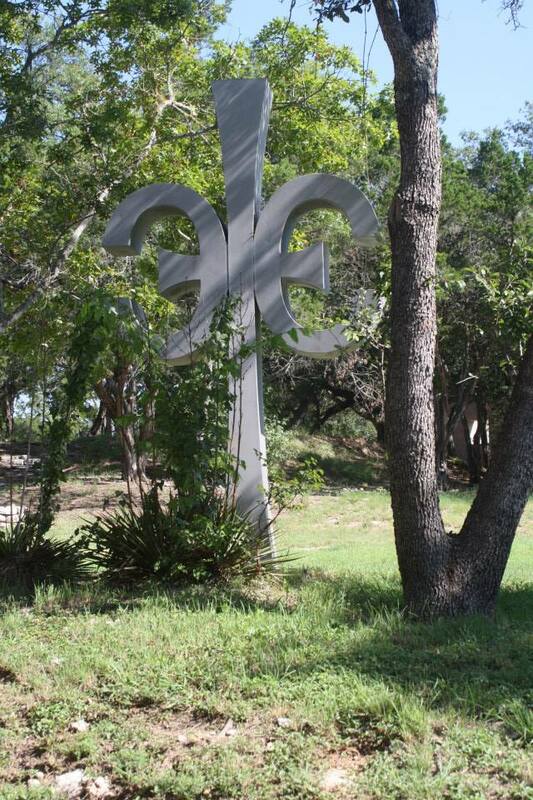 Concordia offers a terrific education in a Christian environment on her beautiful campus northwest of Austin, Texas. The list of major offerings is rich, including a fully accredited nursing program. Click here to learn more.